Gail A. Juett is the Director of the Traverse Area District Library (TADL) system. In her role as Director, Juett oversees district library operations while working with library trustees to manage the budget and identifying areas for improvement while guiding the direction of the library. TADL provides public library services online and in six facilities with its main library located at 610 Woodmere Avenue in Traverse City. First joining TADL in 2008 as the Business Manager, Juett was later promoted to Assistant Director for Human Resources and Finance. She served as the district library’s Interim Director beginning in May 2014, until her permanent appointment as Director in February 2015. During her tenure as Assistant Director for Human Resources and Finance, Juett was responsible for the revamping of the financial reporting system. She successfully developed and oversaw the districtwide budget, capturing efficiencies while reducing supply costs in order to withstand the economic downturn without dipping into a long term fund balance for routine operational expenses. Prior to moving to the Grand Traverse area, Juett worked at the Public Libraries of Saginaw for 26 years, most recently holding the position of Head of Hoyt Main Library. 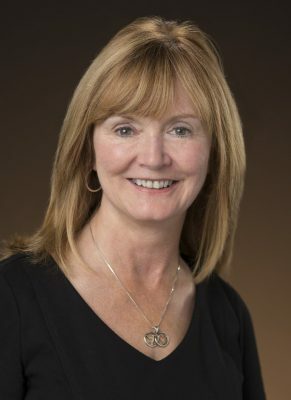 Juett earned her undergraduate degree from Central Michigan University and her masters degree in Library and Information Science from Wayne State University. She is a graduate of the Chamber of Commerce Leadership Saginaw Class of 2006. She served on the Michigan Library Association as Treasurer for three years, as Michigan Library Association (MLA) Board Member and MLA liaison to the Board of the Library of Michigan. She has been an active member of the Traverse City Kiwanis Club since 2009 and served as Club President in 2015-16. You may reach TADL Director, Gail A. Juett directly by calling 231-932-8527. If you wish to leave her an e-mail message, enter your message in the form below. Thank you!